Below you can view all the homes for sale in the Metropolitan Park subdivision located in Las Vegas Nevada. Listings in Metropolitan Park are updated daily from data we receive from the Las Vegas multiple listing service. To learn more about any of these homes or to receive custom notifications when a new property is listed for sale in Metropolitan Park, give us a call at 702-323-5986. Bathrooms have tiled shower walls and new vanities. MLS#2089960. Realty Executives of SNV. master BR downstairs original owner, well kept home. MLS#2089828. Asian American Realty. Covered patio in Beautiful backyard is great for entertaining! Must See! Will go fast. MLS#2089810. Love Local Real Estate. Owner makes no representation or warranties whatsoever. Buyer/agent to verify all info. MLS#2088026. All Vegas Valley Realty. Open house Saturday 4/27 2-6pm and Sunday 4/28 3-7pm. MLS#2087461. Orange Realty Group LLC. A California Exodus Favorite Dont Delay Act Today! MLS#2085009. Platinum R.E. Professionals. Artist workshop may be converted back to a 1 stall garage. MLS#2084000. Easy Street Realty Las Vegas. This Home Is A Jewel And Truly A Must See! MLS#2083348. United Realty Group. Yard & pool make for loving the outdoors! Gated RV parking. MLS#2082323. Investpro Realty. Home equipped with a leased solar system that produces AMPLE energy! See today! MLS#2081120. Precision Realty. ENORMOUS corner lot on cul de sac with boat, RV Parking, covered patio. MLS#2078882. THE Brokerage A RE Firm. Walking distance to parks, schools, shops & more! MLS#2078660. Precision Realty. Great desert landscape with an ample backyard and covered patio. MLS#2078993. Re/Max Titans. Fully enclosed yard provides maximum privacy. MLS#2077627. Vegas Dream Homes Inc.
RV parking is an added value to this home. MLS#2077000. General Realty Group Inc.
Nice Stainless Steel Stove, Dishwasher And Refrigerator. Astonishing Kitchen Backsplash. MLS#2074551. IHOME Realty LLC. 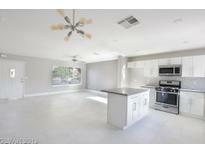 Close proximity to shopping, parks and freeway. MLS#2075406. Luxury Estates International. * New desert landscaping, new shower surrounds * 3 bedrooms and 2 full bathrooms * All bedrooms have fans * Huge lot *2 Car garage *NO HOA MLS#2073922. United Realty Group. Close freeway, walking distance to schools, and shopping. MLS#2072583. United Realty Group. 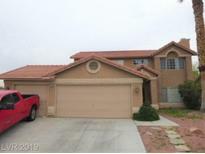 Beautiful House With 3 Bedroom And Pool.Clean Home Ready To Move In. MLS#2071933. DH Capital Realty. You don't want to miss it! Motivated Sellers! MLS#2068858. Century 21 Americana. All figures and measurements are approximate buyer to verify. MLS#2068592. Signature Real Estate Group. Pool Does'Nt Work However There's A Good Sized Covered Patio For Small Gatherings On Weekends Or Celebrations, Or Just A Weekend Hangout. MLS#2065851. Hartline Properties, LLC. Home has tile throughout and carpet in bedrooms and large backyard. MLS#2063246. Compass Realty & Management, L.
Remarkable Single story / Brick front, 10ft deep pool, Marble and Wood floors, Wood Crown Molding and Baseboards, Solid Wood Doors, Kitchen has Custom Solid Oak Cabinets to the ceiling, Granite Counters and Back splash, 2 sets of French Doors, Breakfast Bar and Island, Duel Pane Windows, 28x10 Family rm over looking the backyard, Built in BBQ Island, Covered Patio, Washable commercial wall paper, Wrought Iron entry and Camera system.. MLS#2063741. Scofield Realty Inc..